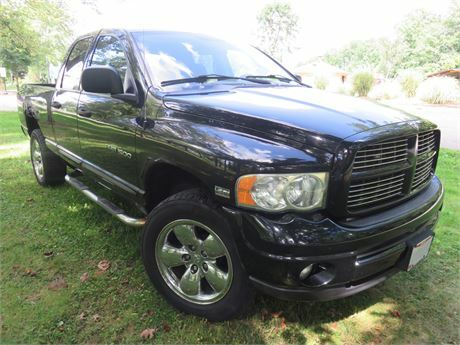 This auction is for a 2004 Dodge Ram 1500 Quad Cab 4x4 SLT Pickup Truck with 122,500 miles. This Ram truck has never been in an accident and all maintenance/service records are documented and included. If you would like to see the truck, please contact Steve @ 440-715-0806 to arrange a time.